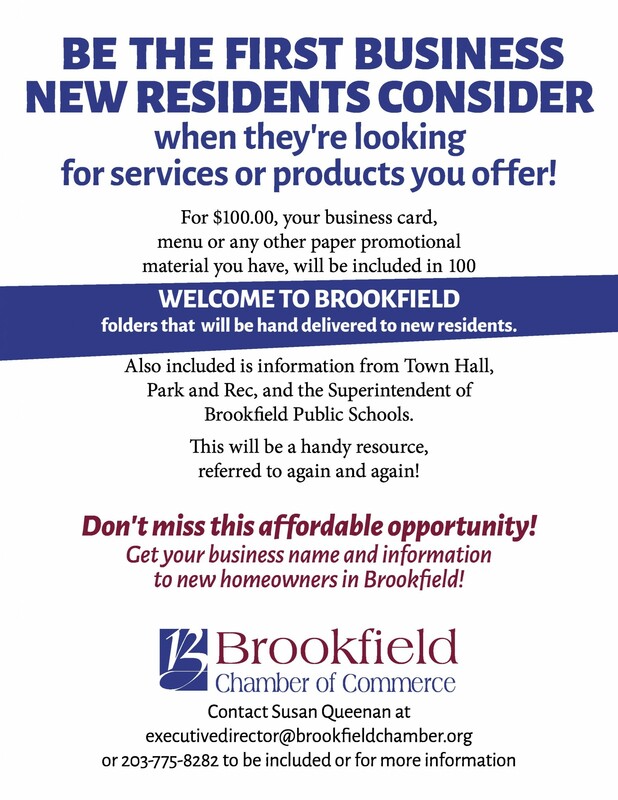 The Brookfield Chamber of Commerce can help you get your business and/or services in front of hundreds of consumers. We offer advertising opportunities through our website, our annual directory and newsletter. We also offer many sponsorship opportunities at various price points to promote your business. When you sponsor an event, you receive the added value of being seen through our Inner Chamber Weekly (reaches over 600 people), Facebook posts (reaches over 700 people, on average), as well as through press releases and public mentions prior to the event you’re sponsoring. The Chamber is pleased to offer these options at very reasonable rates. In addition, the Chamber is always willing to discuss opportunities specifically tailored to generate visibility for your business based on your needs and goals.